Don Everhart was involved in the creation of some of the most memorable U.S. coins of the last decade. The Numismatic Guaranty Corporation (NGC) has finalized a deal with prolific coin designer, sculptor, and engraver Don Everhart to individually autograph NGC certification labels. 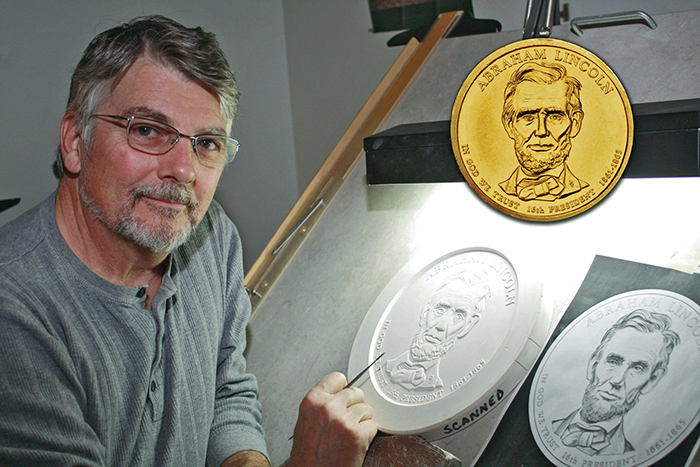 Everhart was employed by the U.S. Mint from 2004 to July 2017, when he retired as lead sculptor. He was also involved in the creation of numerous commemoratives, such as the intricate reverse design of the 2015 March of Dimes commemorative silver dollar, which won a Coin of the Year Award for “Most Inspirational Coin.” He also sculpted the obverse and designed and sculpted the reverse of the 2014 Baseball Hall of Fame commemorative coins, the first concave coins produced by the U.S. Mint. Everhart has been involved in the creation of hundreds of coins, including some of the most memorable U.S. Mint issues of the last decade. Among these is the distinctive eagle design that he engraved for the reverse of the 2015-W American Liberty High Relief $100 (the first $100 gold coin ever issued by the United States) and the 2016 American Liberty silver medals. Though he is now retired from the Mint, his work will be prominently featured on the 2018 World War I Centennial Silver Dollar and the 2018 World War I Centennial Army medal, both of which he sculpted. In addition, he designed the reverse of the 2007–2016 U.S. Presidential $1 series (which features a spectacular rendering of the Statue of Liberty) as well as 14 of the 39 obverses, including those of John Quincy Adams, Abraham Lincoln, and John F. Kennedy. Everhart joins NGC’s impressive roster of label signers, which includes John M. Mercanti, the 12th chief engraver of the U.S. Mint and designer of the American Silver Eagle reverse; Ed Moy, the 38th director of the Mint; and Elizabeth Jones, the 11th chief sculptor and engraver of the Mint. NGC Don Everhart Authentic Hand-Signed Labels will be available from select retailers soon. For more information about NGC Authentic Hand-Signed Labels, visit the website of the NGC.